Contact Info darcm@telus.net or 250 285 2739 . Please contact me at least 48 hours before the trip to let me know if you are coming. Description Departing from the Mine Lake boat launch, we will paddle to the northeast corner of Main Lake where there is a 1.6 kilometre trail leading to Yeatman Bay. Following a hike and lunch, and perhaps a swim, we will return to the boat launch by a more or less direct route, depending on the interest and energy of participants. Not counting travel time to the lake, the trip should take between 4 and 5 hours, including about an hour to hike to Yeatman Bay round trip. The trip is weather dependent – I will contact you by 9 p.m. the night before if the trip will be cancelled due to weather. Departure Time Please arrive by 9:00 a.m. so that we can be on the water by 9:30. 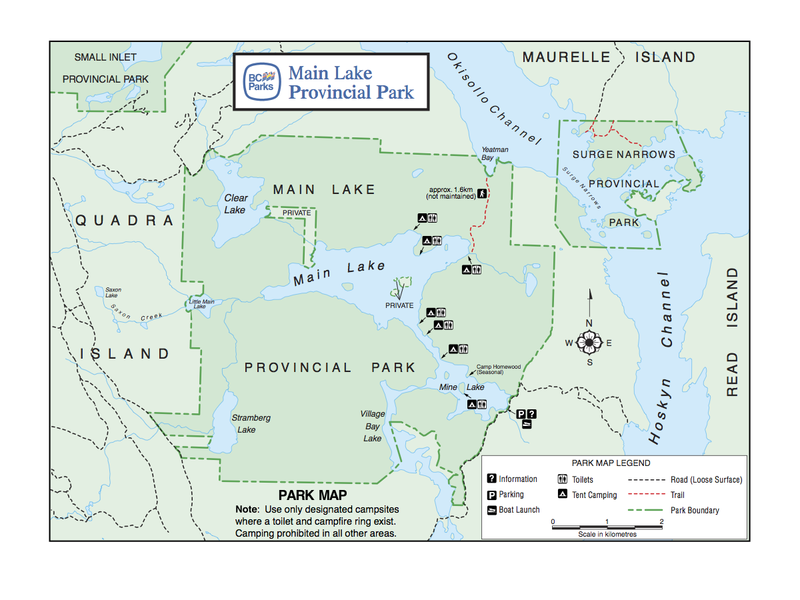 This entry was posted in day-trip, easy, Hiking, Paddling, Quadra Island by qioutdoorclub. Bookmark the permalink.